On Sept. 7, 2017, newly arrived Rohingya refugees sit at Shamlapur beach in Cox's Bazar district in Bangladesh, after travelling for five hours in a boat across the open waters of the Bay of Bengal. Fred Rogers' mother once told him to "look for the helpers" when he saw scary stories on the news. At UNICEF, we are the helpers, and in disasters, we look for the children. 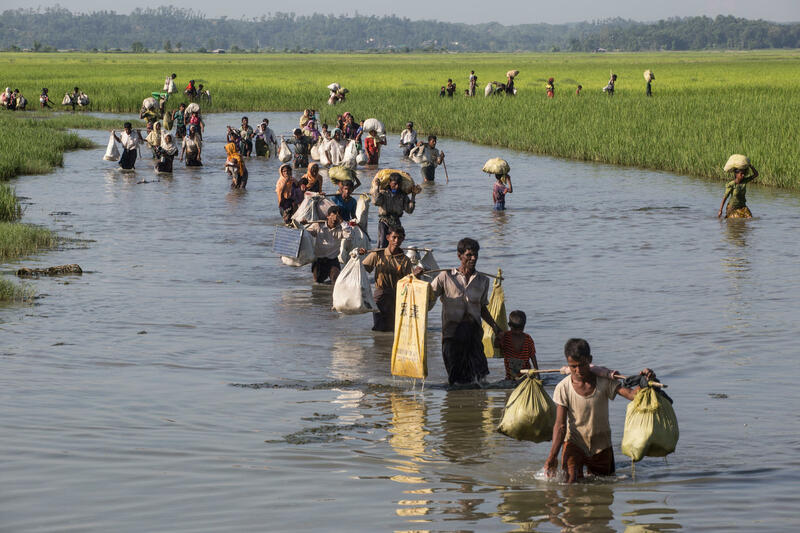 Hundreds of thousands of children are among the more than half a million Rohingya refugees streaming across the border between Myanmar and Bangladesh. 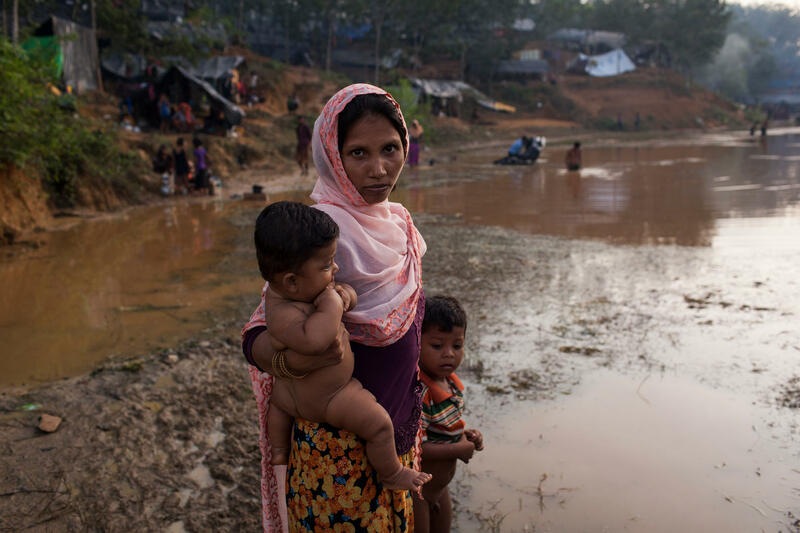 What was once the picturesque fishing village of Cox's Bazar is now home to a sprawling humanitarian crisis, with all the conditions for a truly catastrophic failure of humanity to prevent this from worsening. It is poised to become the largest refugee camp in the world. One of the children on the move is Anamul, a nine-month-old boy whose family fled the violence in Myanmar. Working with the Bangladesh Ministry of Health, UNICEF is urgently vaccinating these children to prevent the onset of infectious disease. While being vaccinated, the medical team diagnosed that Anamul was also significantly malnourished. Circumstances in the camp are not conducive to healthy recovery, with a lack of clean water, sanitation, hygiene services and shelter. The prevailing conditions include food shortages and limited safe spaces for children amidst the physical and psychological trauma of being uprooted from their homes. Imagine if this was the choice your family faced? Ethnic violence on one side, precarious and inhumane living conditions on the other. A significant risk of death, illness or other forms of violence along the way. Anamul will be treated and his care monitored, but how many other children will be able to survive this exodus? On Oct. 16, 2017, Rohingya refugees including women and children cross into Bangladesh at Palong Khali in Cox's Bazar district. 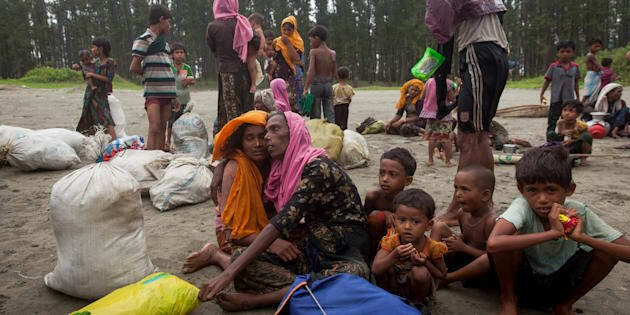 Between 10000 and 15000 newly arrived Rohingya refugees fleeing Myanmar crossed into Bangladesh, and are stuck in Palong Khali in Cox's Bazar district, approximately two kilometres from the border with Myanmar. UNICEF and other organizations are rushing to respond, and the relief effort is scaling up. 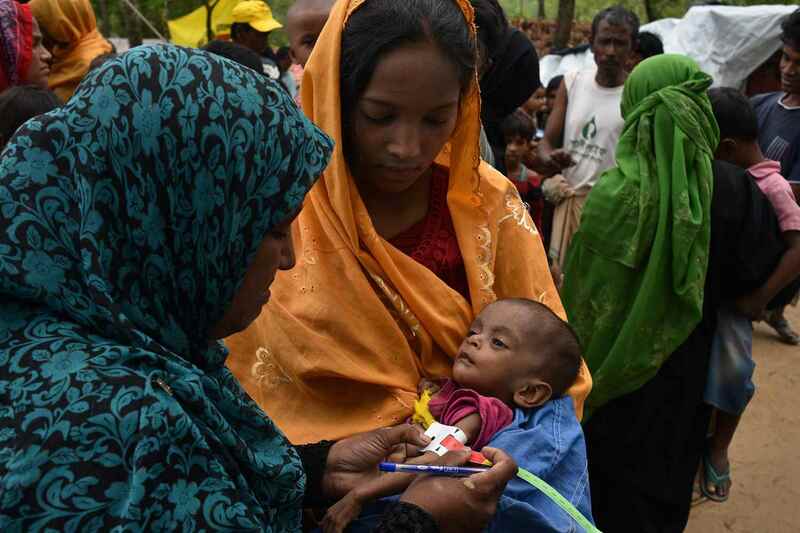 In addition to medical services, UNICEF has provided hundreds of tonnes of supplies — life-saving water-purifying tablets, family hygiene kits, sanitary materials, plastic tarpaulins and recreational kits for hundreds of thousands of Rohingya children. We're also delivering 70,000 litres of clean water every day. With no end in sight, the world must act now to prevent a calamitous loss of life. The government of Canada has answered the call for support. So far in 2017, Canada has provided $13.27 million in humanitarian assistance to partners in Myanmar and Bangladesh to meet the needs of those whose lives have been disrupted by this crisis. However, we can all do more. There are three things that every Canadian can do to avert further catastrophe. First, we can all condemn the escalating violence, and call for an immediate cessation of hostilities. There must be unimpeded humanitarian access on both sides of the border. No family fleeing ethnic violence should be faced with more difficult conditions in the aftermath. These calls need to be political, personal and uncompromising. The pressure needs to mount, and it needs to come from all of us. Second, we need to stop the suffering. This will be complex and challenging, but it can be done. In addition to the support of the government of Canada, the UNICEF is appealing for US$76 million for long-term support in the region. The gap remains wide, but the generosity of Canadians has risen to these challenges before. Finally, we must learn from history and demand a full respect for international law and children's rights. The future of the Rohingya people is at stake and we will all be held accountable. When the UN uses terms like a "textbook case of ethnic cleansing," this is a clarion call. A reminder to not repeat the horrific failures of Rwanda, Bosnia-Herzegovina or Darfur. "Look for the helpers." We need to protect children like Anumal, who through no fault of their own, are the most vulnerable in these nightmares. In this disaster, we must all be the helpers.